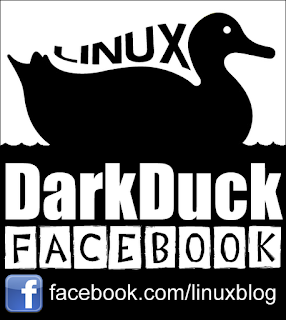 Next Achievement of Facebook Page of Linux Notes from DarkDuck - 500 likes! I must admit I have never thought about this being possible. You know that Facebook page of Linux notes from DarkDuck exists almost as long as the blog itself. The page got it 300th like in September 2014. It was only about 320 by mid-January 2015. And then I saw the number of "Likes" rocketing! The level of 400 "Likes" has been passed on the 24th of January. It was less than 3 weeks ago, and today, on the 12th of February 2015, I am happy to announce that the Facebook page took another level! 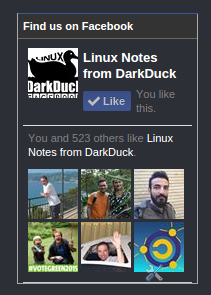 There are more than 500 people who "Like" the Linux notes from DarkDuck page! Thank you to all of you! I appreciate your dedication! 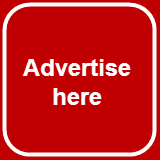 I will keep the blog going! Stay connected! Good morning / evening / afternoon / day / night whenever you are reading this. My name is Antonio and I really like Zorin OS. I'm fairly new to the Linux community and I had a difficult time around at first when I stumbled across a few threads that were just distro wars. These sort threw me off track and I completely botched my first Arch linux install. Afterwards however, I found Ubuntu and found it to my liking for much except for a few things. The first thing was the interface. Unity isn't ugly, but I prefer something a little more like the Windows UI that isn't controlled by a brown-orange background. I then tried to install LXDE onto the distro, which then asked for root permissions to log on and I quickly lost that install as well. After finding plenty of top 5 to top 50 distro lists, one name really stuck out. Just the name. Zorin OS. Its was a freaky cool name. I installed it quick and... Updates. I was dealing done with Windows updates so I won't lie that I was erked. Then I found out what the 500MB of downloads were for. All of the preloaded software and I flipped. It was magnificent. I did a little research and found out that Zorin OS 8 was based on Ubuntu 13.10. Knowing that Ubuntu 14.04 was the LTS release, I waited for Zorin OS 9 to come out to buy the premium version. I would definitely purchase Zorin OS 9 Ultimate if I didn't win it, but I am glad I had the chance to enter your contest. This is a guest post by Larry Adams, which took part in the joint Zorin OS contest.